Welcome to the Accredited Bowen Therapists of Ireland (ABTI), founded in 1998. ABTI is a group of professional Bowen therapists and students of Bowen throughout Ireland. All listed therapists have trained with a recognised training school, are fully accredited, hold professional indemnity insurance and a current First Aid Certificate, are committed to continuous professional development and are expected to follow the Code of Practice as laid down by ABTI. ABTI is a member of the Federation of Irish Complementary Therapy Associations (FICTA) the representative organisation for complementary therapy associations at national and international level (www.ficta.com). 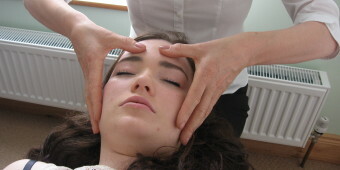 The Bowen technique addresses the entire body and can produce a wide range of benefits.